A friend once told me I could write, and so I did. The Rise of Zenobia wasn't the first novel I wrote, nor the first I published, but it was one of my earliest pieces of work and was put through its paces on various peer review sites before finally being enshrined on the page. The stories of lesser known heroes have always intrigued me. There are many reasons they are untold, barely noted in the tombs of history, a footnote here and there. Popular in the Arab world, she was lesser known to westerners. 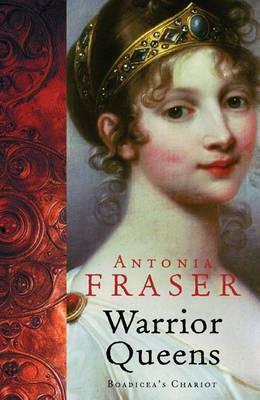 I first read about her in Antiona Fraser's Warrior Queen, giving me an insight into the life of this remarkable woman, who rose from the daughter of a merchant to marry the King of Palmyra, capital of Syria, and an important city on the eastern caravan route. Two things struck me about Zenobia. First was that she led one of the most threatening rebellions ever faced by the Roman Empire, yet it remained largely untold. The Empire relied heavily on Egypt for it's source of grain, with a third of the Empire's consumption coming from the land of the pyramids alone. Cut off, the Empire would starve. The second was the country in which she rose to a hugely influential position. It was a vast contrast to the middle east today; war torn, religious conflict and oppressive toward woman. In the third century Zenobia was not only given a voice, she held command over armies and was worshiped as a god. Further still was the descriptions of many religions living peacefully, side by side, with citizens choosing who they worshiped, many praying to several gods. Indeed Zenobia herself courted both Jews and Christians to name but two in a bid to secure friendship and support. These details fascinated me when in so many other areas of history you read of seemingly constant religious conflict, where religion is the reason for the story, the cause of war, the very character of conflict. Here was a story where religion was barely a player. An so I embarked on a mission to write a story where religion is constantly referenced, but it is the colour of the sea or the shape of the moon or the smell of spice. Not the cause or the reason for the characters' motives and interaction. The first draft of The Rise of Zenobia took years to complete and many rewrites, particularly of the first chapter, in a bid to introduce the characters that would see them live through several volumes of the series. The research was unending and still is. Little is known of Syria in the third century. Like the dark ages of Britain very little historical documentation existing and what does is unreliable. I left it too late to visit Syria to do any on the ground research. My children were babies when I first started writing and by the time I had the time and resources to make the venture war was, in real life as well as my book, tearing the country apart. From the clothes to the armour I made educated guesses. Syria was a client kingdom of the Roman Empire and would be heavily influenced by the language, customs and dress. But it was also close to Egypt and in perpetual war with Persia, so everything I imagined for the land ruled by my heroine would be a mixture of them all in a bid to demonstrate local and political influence. We walked a long line of tents, taller than ours, but still the soldiers stooped in and out. We paused outside one, six soldiers standing sentry, and I felt a flutter of apprehension, our mission riding on the next few moments; our second and last chance. We ducked inside. Gallienus sat behind a table as Valerian had sat behind a desk in Rome, the tent otherwise bare. They were different in approach. Valerian did not wish to see us, made no pretence at humouring us, and believed what he had wanted to believe, what his own commanders told him. Gallienus sat with a serenity I had not imagined a man of war to emanate. Scars marred his face, cutting through a short beard, no thicker than my own. He stood up and genially gestured we take chairs opposite him. An aide stood to one side, four soldiers lining the walls, and the soldier who had come for us sat down at one end of the table. ‘My sincere apologies,’ the emperor said. ‘You caught me on a long march home. I am not entirely sure who it is I address,’ he smiled, eyes flicking between Zenobia and myself. Gallienus relaxed into his seat and traced a wide scar close to his ear. The man sitting at the end of the table gave a low snigger and leaned forward on the table. Gallienus appeared amused as he waited for a response. Gallienus closed his eyes momentarily. Gallienus chuckled, and the man at the end of the table laughed, too. ‘You had a second question?’ she said. Gallienus tilted his head and studied Zenobia. Zenobia shrugged off her cloak. Zenobia said nothing. Clever, I thought. She touched on delicate matters. My mind was filled with Julius, whether he still held the southern frontier, and if he were dead or alive. I felt the draw of home, a heavy pull in my stomach. I craved, then, to return to Palmyra. A mild hint that Odenathus could turn against Rome without notice was not lost on the younger emperor. ‘You can leave us now, Posthumus,’ Gallienus said to the man sat at the end of the table. He bowed and stooped out of the tent. Only the guards, Zenobia, Gallienus and I remained. Gallienus grinned, boyish and amused. He rose from his seat, took Zenobia’s hand and assisted her to her feet. 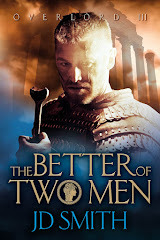 "If you're a fan of historical fiction and like Douglas Jackson, Bernard Cornwell, Simon Scarrow - then you will adore this novel. 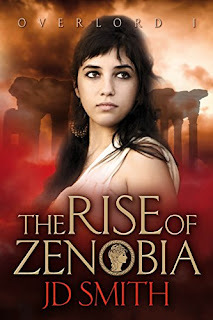 The Rise of Zenobia is the first in the series and I can't wait to read more from this talented author." "I do love a warrior queen! Boudica is perhaps the best known of all but this is a tale told of another, Zenobia, who also went up against the might of Rome. An intriguing and atmospheric insight into a part of history I knew very little about. It is very well written but easy to follow too - no mean feat considering all the unusual place and character names. Set in ancient Palmyra (modern-day Syria) the descriptions throughout, of the people, the places, are particularly vivid, transporting you to a bygone age. 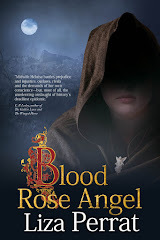 Packed to the hilt with tension and adventure, it kept me spellbound. Thankfully, as part of a trilogy, there is more to come!" 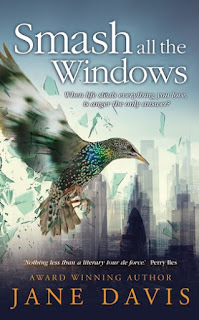 All the members of Triskele Books have long been fans of Jane Davis's books and there was no doubt we'd read her latest novel. 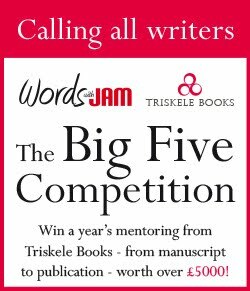 Here, Gillian Hamer, Catriona Troth and Liza Perrat respond to JJ Marsh's questions about Smash all the Windows. JJ: The first thing that struck me about the book was the structure. The book starts with the coroner's verdict. Then it moves back in time to before the disaster happened and to the aftermath. How did the fact that we know what happened in the end affect your experience of the story? CT: A chronological telling, with the focus on a sequence of events, would have made the book more like a disaster movie. By telling the story in the way she did, Davis ensured that the focus was on the impact of the events on the lives of the characters. LP: For me, the coroner's verdict was not the crux of this story; it was rather an exploration of the effects of the disaster on the different people involved. Therefore, my story experience was in no way affected by this beginning. GH: Yes, I agree with Kat, it changed the tone of the book completely because we already knew the people were without fault and helped us focus on the character's stories rather than the guilty or not guilty issue. JJ: Davis employs a large cast of characters, and as a result, many different points-of-view. What do you see as the advantages of that? CT: There are so many different human responses to grief, loss and trauma. The multiple points of view of the families of the dead - all written in that close third person point of view that makes the reader inhabit the characters skin - allow us to explore and understand a huge range of those responses. LP: Yes, I agree with Kat and as such, each individual reader will certainly be able to identify with at least one of these characters. 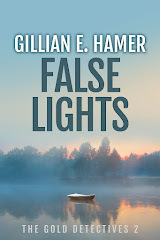 GH: I think it gave the book a much more rounded and balanced feel, each character had their own story, their own baggage, their own guilt and their own way of coping with their grief. JJ: Was there a single character you identified with more than most? LP: I identified with many of the characters, but mostly, I'd say, with Jules. I found it amazing the way he could sift through the physical and literal rubble, and create something beautiful and evocative. GH: I think I connected most with Maggie. I've walked streets and drove to places just to evoke memories and remember what it was like to be there with a loved one I've lost. And I felt a great deal of empathy both for her loss and what she went through trying to defend her daughter's name. JJ: I was impressed by the way the author made a completely fictional disaster feel so convincing. What were the elements that contributed to its believability? CT Again, this has something to do with points of view. By showing it to us through the several pairs of eyes, Davis allows us to see it evolve as in a four dimensional reconstruction. But it is also to do with carefully chosen details that would conjure up the Tube to anyone familiar with travelling on it. LP: I think it was entirely believable as I could truly envisage this kind of disaster occurring. Coupled with the fact that we have actually experienced just these kind of disasters in real life. 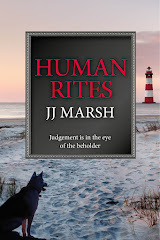 GH: There was something of the tragic events of Hillsborough that echoed through my mind as I read this book, and because we know these awful, life-changing events can happen, and that miscarriages of justice aren't as rare as they should be, it added to the whole believability factor that the author created. JJ: The novel is full of powerfully affecting moments. Are there any that particularly stood out for you? CT: Very difficult to pick just one. The opening of Ollie's room, Eric's breakdown, Helene finding her role - they were all deeply moving. But I think the opening of the exhibition stands out for me, for all the reasons I explain below. LP: For me it would have to be when Ollie's room was finally opened. GH: Again, Maggie coping with her inner grief stood out for me because it felt so real. Gina's battle with her emotions and coming to terms with her son's death in gradual stages was also very powerful. JJ: There is a sense of closure for some of those left behind at Jules Roche's exhibition, Objets. Why does an artistic representation of people's pain and grief have such an effect? CT: Visual art, like poetry, distills emotion down to its essence, so it connects directly with our own emotional centres. The descriptions of art pieces probably shouldn't, in theory, be quite so powerful. But I was blown away by Davis's description of the different pieces in Objets. Envisaging each of those art works was a tour de force in itself. Not to give too much away, but crib was an especially stunning concept. I think Davis may be a visual artist manque! LP: I think because, as each of us is an individual, each person views, loves, hates and/or appreciates, art in completely entirely ways. Just as it is with each individual's perception of pain and grief. GH: I felt the exhibition acted as a form of closure because it brought everyone together in a 'beautiful' way - rather than in a courtroom. It's difficult not to give the plot away but the objects themselves had real meaning too that seemed to heal those left to cope with the aftermath. JJ: Jane Davis recently wrote a guest blog for us on the ghosts of fictional characters. This book is shadowed with the spectres of lost individuals, even those not yet born. Yet it did not make me melancholy, instilling if anything a feeling of reverence. What was your feeling when you finished Smash All The Windows? CT: I think there was an immense feeling of hope, as if Jules has allowed the bereaved - those with whom we have shared this journey at least - to reconnect with those they have lost. This wasn't an anodyne 'everything's all right now' ending - more that each of the characters could now begin a healing process that had been denied them for years. LP: It definitely left me with hope too; that the characters had been able to acknowledge their grief and could thus continue their lives on a more hopeful and peaceful, arc. GH: A feeling of closure, not just in the book but in the journey of the characters. The victims' voices had been loud and clear in the earlier sections and flashbacks, and it was as if they had finally fallen silent. I felt sure that the bereaved would now be taking the first small steps towards the rest of their lives with the acceptance that they could never change what had happened but could finally start to learn how to live with it.